Pharmaceutical logistics management is changing, with the supply chain's role currently undergoing a transformation from an operational role to a fully-fledged strategic business lever, driving value and ensuring that all-important competitive advantage. It is therefore more important than ever for pharma supply chain executives to optimise the supply network to position the business for success. 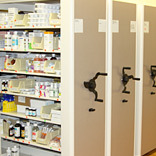 Delicate pharmaceuticals require great care while in storage and during the shipping process. Therefore, a reliable and vigilant cold chain distribution system is essential in maintaining the integrity of these products. Many pharmaceuticals are extremely temperature-sensitive; requiring storage in an environment where temperature range is pre-defined to accommodate the specific temperature qualifications of the cargo. Biopharmaceuticals and probiotics are especially vulnerable during transport, causing those in the cold chain shipping industry to develop reliable solutions that offer consistent shipping methods and sound insulated containers. The pharmaceutical industry is facing enormous pressure to reduce global logistics costs. At the same time, increased outsourcing has put total supply chain control at the forefront of business strategy. Partnering with pharmaceutical companies can be done to meet industry-specific challenges and reduce costs by providing personalised solutions that optimise the supply chain. It is important then to keep biopharmaceuticals, probiotics and other pharmaceuticals consistently within their optimal temperature range throughout the duration of the shipping process. This is not always easy, as ensuring that a pharmaceutical shipment arrives at its destination uncompromised and in good condition can sometimes be a battle for cold chain facilitators. Holdups, delays and exposure to the conditions are some of the factors that might threaten the integrity of a given pharmaceutical shipment. Failure to take the sensitive nature of a shipment into account as it passes through numerous airport handlers is another scenario that may play up. There might also be occasions where extended delays in delivery result in a shipment's overexposure to sunlight, or an otherwise hot couple of hours on a tarmac. The other extreme may apply, where a shipment is exposed to extreme cold for unexpected periods of time. The Logistic Industry in India is forecasted to grow at Compound Annual Growth Rate (CAGR) of approximately 8 percent over the next three to five years. Third Party Logistics (3PL) Solutions, is slated to grow at a compound annual growth rate (CAGR) of over 16 percent. Consequently, 3PL service providers are expected to corner an increased share of the Indian Logistics pie, from 6 percent in FY06 to 13 percent in FY11, at a CAGR of 25 percent. Concluding at the end, Parida said, “Increase in efficiency and productivity of the transport system in logistic firms would result in lower transit times.” The introduction of Value Added Tax (VAT) and the proposed introduction of a singular Goods and Services Tax (GST) are expected to significantly reduce the number of warehouses manufacturers are required to maintain in different states, thereby resulting in a substantial increase in demand for integrated logistics solutions.